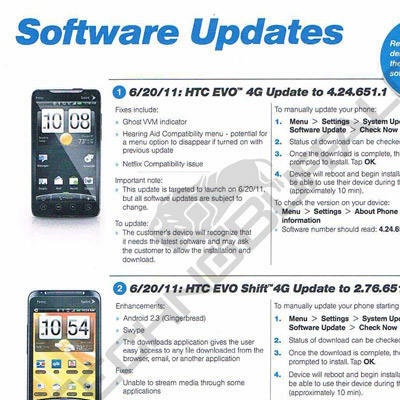 Both the HTC EVO 4G and HTC EVO Shift 4G on Sprint have been in need of updates, and it looks like those are finally going to be rolling out next week. While there are a lot of little fixes, the big one is the HTC EVO Shift 4G is getting Gingerbread on June 20th. In an internal memo sent out to Sprint store employees, the date of these overdue updates is finally listed as coming on June 20th, and both of them are fairly significant. 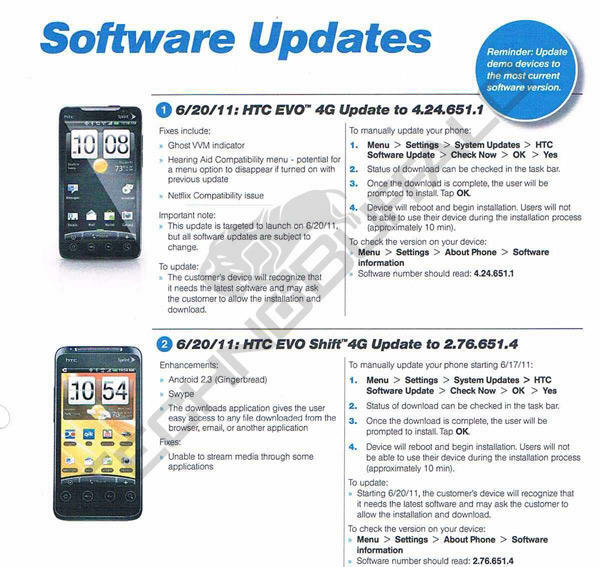 The bigger update by far is coming to the HTC EVO Shift 4G, and one that is sure to thrill owners of this handset. Did anyone read anything after Gingerbread? Didn’t think so. You can see the full memo below (click on it for a larger view). Are you excited for these updates?